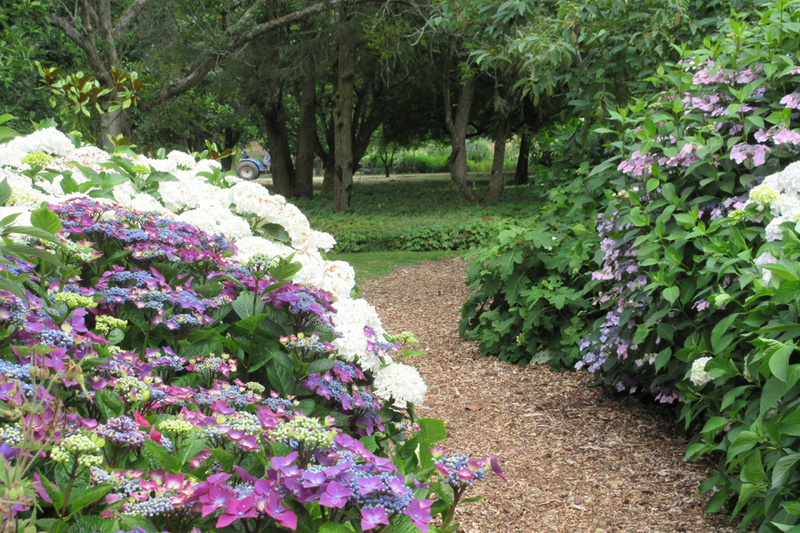 The beauty of Hydrangea Walk is at its peak in summer. There are many selections of the mophead and lacecap forms of Hydrangea macrophylla. There are also some H. paniculata mixed with a variety of Viburnums.